Yesterday my boyfriend and I spent over 3 hours deep cleaning our home. This may not sound like long enough to get in a proper deep clean, but we only live in a little one bed flat – so we did it properly! I spent the entire three hours just doing the kitchen so it’s completely gleaming and ready to be dirtied again with lots more cooking! When the end was in sight it was pushing 2:30pm and we were thinking of lunch. Not wanting to make another trip to the supermarket (having already been once for breakfast items and then again for cleaning products) I had a look around our very clean and very empty fridge for inspiration. 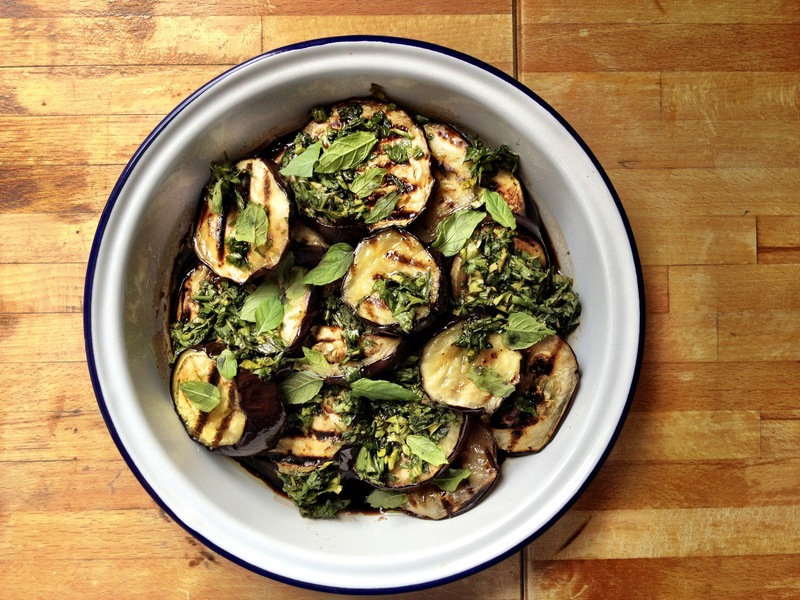 I spied a couple of aubergines and a few mint leaves which instantly sparked a memory of reading a recipe that combined the two in Yvette van Boven’s Home Made. 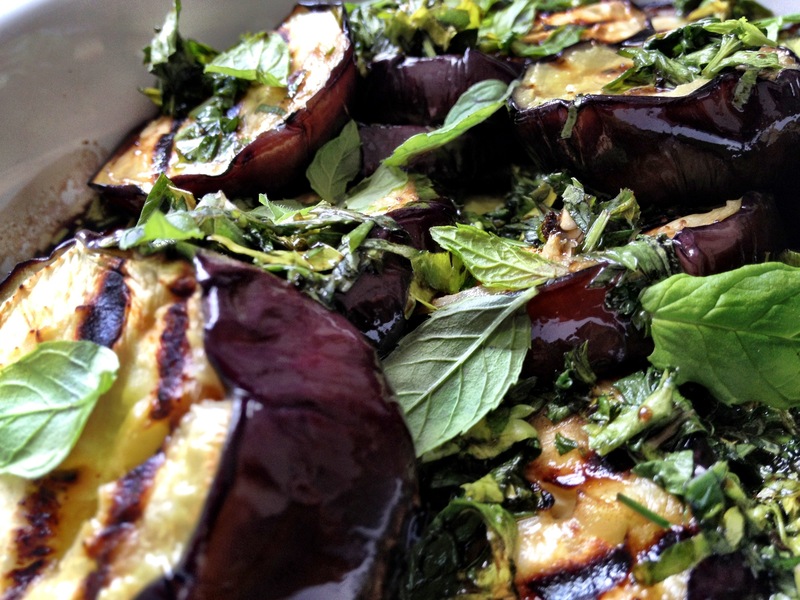 I griddled the aubergine and left them, as instructed, to soak the marinade for half an hour. And so 45 minutes later, when the house was looking as beautiful as possibly, we had delicious marinated aubergines on toast scrubbed with garlic. Hmmm I had noticed that recipe in the book, but never got to making it! Your version looks amazing, now I really want to try it! Ah thanks. For some reason I’ve hardly made anything from this book in the six months or so I’ve owned it, and I’m really not sure why because everything looks delicious! Must start treating all cookbooks with equal affection! It’s a nice one this actually, I made a few small changes to the original but the essence is very similar. Give it a go!! 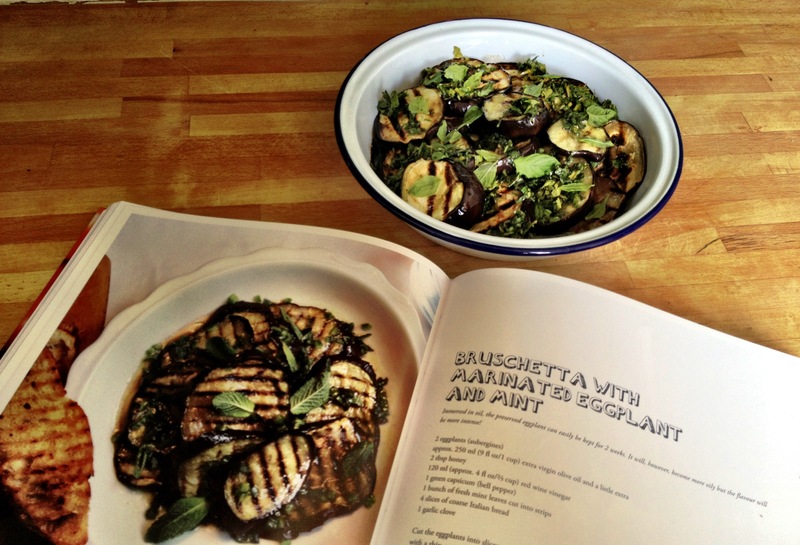 It is aubergine season, so I will give it a go! Sounds divine, ill ear-mark that one! Thanks for the tip! I love aubergines! I have to try this recipe!! It’s a really simple but effective way to prepare them, and proves they’re as delicious cold as they are hot! This looks so delicious. I needed a good eggplant recipe. Thank you for posting it! It was nice actually. 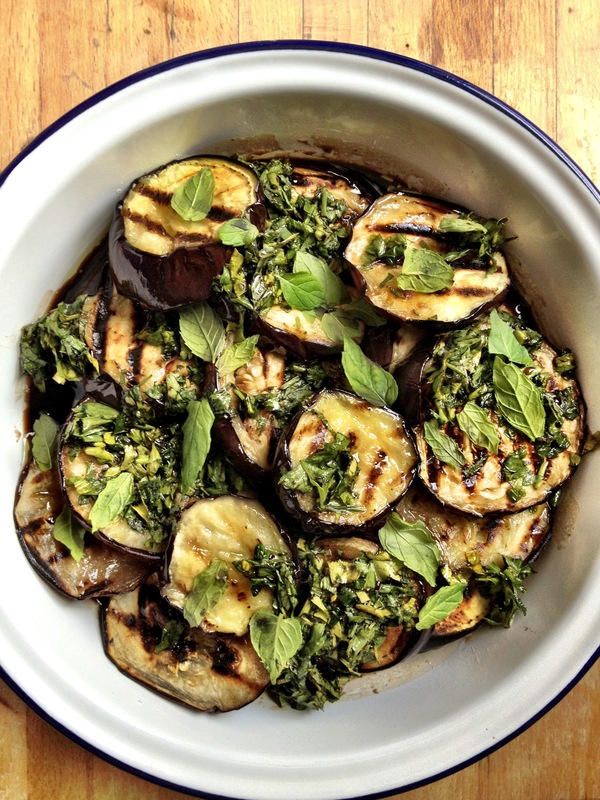 I’d never thought to try balsamic with aubergine/eggplant as wasn’t sure it would work, but seeing it in a recipe gives you the courage to try it out and I’m glad I did! Tried this recipe last night lovely. DIVINE.